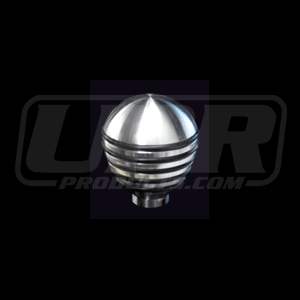 » Exclusive Tall Cool Grip Billet Shift Knobs. Innovative Bold Styling: Eliminate that Unsightly factory shift knob and move up to our Custom Tall Cool Grip Billet Shift Knob. Our new O Ring Design Helps eliminate head and gives the knob a distinct & classy look. Quality Construction: Crafted to fit & function better than an OEM part. No one else gives you the bold clean styling of our Aftermarket Dress Ups, Suspension and Performance Parts for your American Muscle Car like UPR Products! All our Custom Billet Shifter Knobs come with all hardware required for a clean easy install in under five minutes for a Bold new look. Click Here for Instructions Fits these Vehicles: 2005 2006 2007 2008 2009 2010 2011 2012 GT Mustang Roush Saleen Vehicles. 2005 2006 2007 2008 2009 Shelby GT500 (does not fit 2010+ GT500) Made in the USA!